This dedicated nailing tool has a precision air tool construction and will accurately drive 18 gauge brads with little marking to the surface of the timber. Ideal to speed through a wide variety of tasks this will save the busy tradesman a lot of time and free one hand to guide and position the work peice. Also ideal for a temporary fix during glue drying. 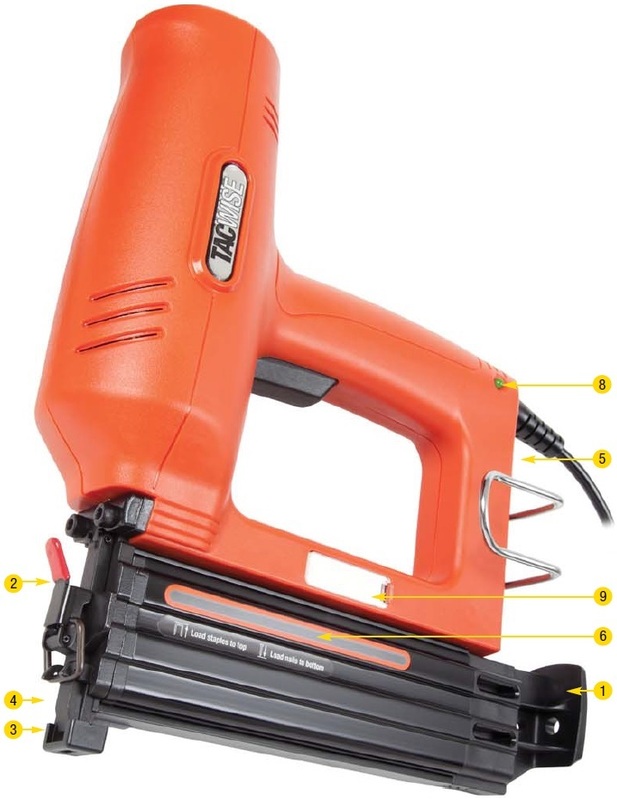 The 18G/50 Nailer and 16G/45 Finish Nailer both embrace an all new magazine with a high level of precision and the 18G tool featured has two viewing windows. As with all new generation Tacwise electrics there is a quick release nail gate and easy close side load system. The new generation, dedicated Brad Nailer from Tacwise is powerful, light and compact. Perfect for a variety of second fix applications and now with the Tacwise stainless steel (anti-corosion) nail range, ideal for outdoor work such as fencing, shed/log house building it's the perfect tool for the professional.